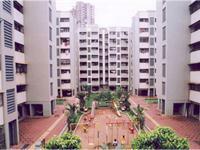 It is a mega residential complex which comprises of thirteen 7 storeyed residential buildings offering well planned 1,2 and 3 Bedmom-Hall-Kitchen apartments, ranging from 550 to 1100 snit in area. Satellite Group: Established in 1971, Group Satellite (Satellite Developers Ltd.) today ranks among the most reputed developers & construction companies in India. For thousands of happily settled families, business persons and corporates, the 'Satellite' brand stands for an uncompromising commitment to quality, timely project completion and total business integrity, backed by an efficient after-sales service. 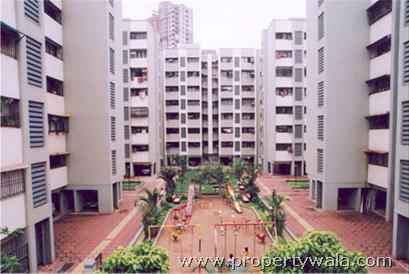 Satellite Gardens: It is a mega residential complex which comprises of thirteen 7 storeyed residential buildings offering well planned 1,2 and 3 Bedmom-Hall-Kitchen apartments, ranging from 550 to 1100 snit in area.This building having 2 bhk flat , good quality of construction , lift, children play area, mahanagar gas connection , security, near by banks , school, etc. Have a good knowledge of Satellite Gardens? Share it and become a Project expert.